Earlier this year, during a break in on-track action at Kansas Speedway, an old friend and former Roush Fenway Racing insider stopped by to bench race. Naturally the conversation turned to the former employer and when it did, the conversation turned kind of dismal. When asked about the long-term future of RFR, the former employee, who left the team on good terms, said that the fear is that there may be no long-term future for the team that Jack built into one of NASCAR’s elite. That conversation immediately came to mind when word came out of Indianapolis on Sunday that Carl Edwards had opted not to return to RFR after his contract expires at the end of the 2014 season. 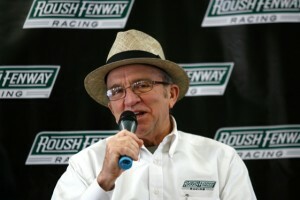 The waters have gotten choppy for Jack Roush and his NASCAR teams and drivers the last couple of years. Though still a top-tier team, RFR has dropped to the bottom of the top tier. Since Matt Kenseth departed after the 2012 season, there have only been five race victories by the three Roush drivers. Four of those wins have come by way of the No. 99 Ford of Edwards. Greg Biffle, the other true veteran on the team, has one win while Ricky Stenhouse Jr. has just two top-five finishes in his 56 Cup starts since become a full-time driver in the series. Roush cars do show speed from time to time, but in general, they seem to be a tick or two behind the Hendrick Chevrolets, the Joe Gibbs Racing Toyotas and, tellingly, the Team Penske Fords. RFR, once a five-car team, contracted itself down to a three-car Cup operation after the 2011 season. season. Roush’s Nationwide program still fields three cars but the drivers of those cars have won just one race since 2012. Questions about sponsorships and, hence, finances, also swirl around the team these days. Many teams continue to struggle when it comes to funding in the post-recession era. Roush appears to be one of those teams. During a press conference in Indianapolis on Sunday, Roush said his team is working on deals with a number of potential sponsors for a lineup of drivers that will consist of Biffle, Stenhouse Jr. and Trevor Bayne next year. But he referred questions about the specifics to team president Steve Newmark. But when Newmark addressed the question, there were very few specifics. “The only sponsor announcement for today is that Fastenal (Edwards’ primary sponsor) is shifting over starting in 2015 to be the anchor partner on Stenhouse’s program,” Newmark said. the 2010 series stands as a tough blow for the team to overcome. Smith and Roush grew the team together. Roush handled the competition side while Smith, who joined Roush in 1990, handled the business side. Smith, ever accessible and straight forward with journalists, played a major role – if not the starring role – in signing top drivers and sponsors alike to contracts. Smith, who reportedly agreed to stay on with the team longer than planned in order to help it through the recession years, said upon retiring in December of 2010, “The task this organization has before it has never been more difficult.” But, he said, he believed Newmark, an attorney by trade, would be up to taking on the task. It will take time to see how that works out. But time may be a formidable enemy of RFR. Roush is 72 years old. That is not terribly old among current NASCAR owners. Roger Penske is 77; Rick Hendrick is 65; Joe Gibbs is 73. But those other top-tier owners appear to have clear lines of success in place for when they do decide to step back. Hendrick is widely know for his penchant for stocking his team with bright and extremely competent personnel. Penske has young, yet proven, Tim Cindric in position. And Gibbs has his son, J.D. Gibbs, who as president already has firm grasp on the reigns, groomed to to assume ownership role when the time comes. When Roush does step back, the lines of succession seem to be less clear. 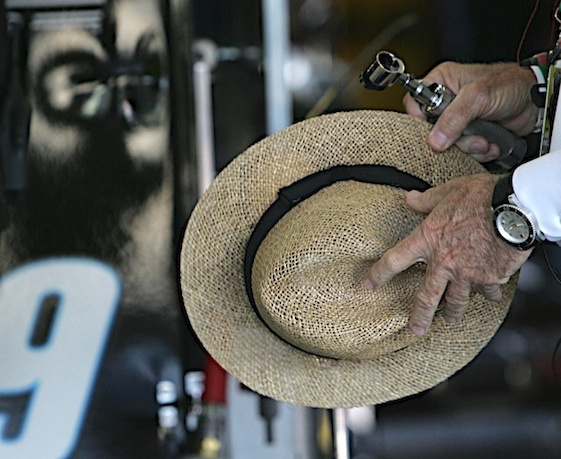 Jack Roush has always been a hands-on team owner. He’s an engineer/owner who knows which end of the wrench to hold because he has held those wrenches himself on a daily basis. He takes passionate pride in the machinery he has designed, engineered and help build: Take it from someone who has been on the receiving end of an angry phone call from Roush after writing a story in which one of his former drivers had the temerity to criticize a Roush Racing engine. Roush’s hands-on, one-boss approach helped build his team into consistent winner over the 27 years it has competed in NASCAR. But does that kind of approach bode well when it comes to lines of succession? Roush and many of those around him say that Jack has been distributing management duties in recent years and that does bode well for the long-term future. But Roush Fenway Racing without Jack Roush? A couple of years ago, Roush said that he hopes he becomes less vital to his operation as time goes by. And that is probably happening right now. However, will the team find the right person to become more viable when the time comes? 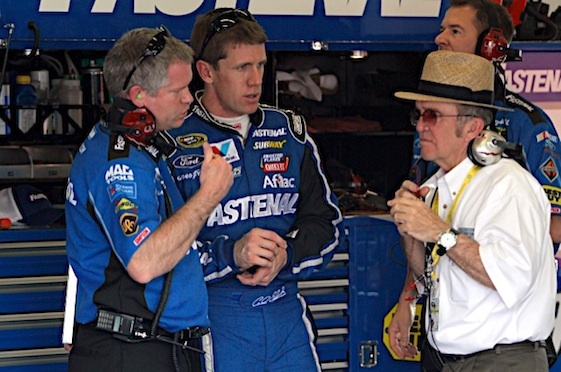 That’s a big question when contemplating the future of Roush Fenway Racing. An organization yends to take on the personality of its leader. From big (RFR) to small (a contruction crew), The traits of the head guy are copied by all. Roush Fenway has always been a get-er-done outfit with a load of energy and know-how…until Jack hit the pavement with his plane. That single incident has flat taken the wind oout of Ford’s sail. There is no one willing or able to grab the reins and keep the RFR chariot on track. For many years, The best of NASCAR’s engineers and crew cheif flocked to RFR because they were going to work with like fellows, who brought in the win. That has plateau’ed into everyone looking at each other, wondering who is gonna step up and right the ship. What future ! Stenhouse will probably have a career like Martin Truex, two wins in his entire career and kept around because he’s a good guy. Biffle has won his last race and Jack’s team was his only top tier team choice no matter what he says, who else would have hired him. Forget wrecking Trevor, he won’t learn and has his one cup win. Jack doesn’t even attend all the races anymore, spending time with his grandkids which is great. Penske has two top of the line young winners and will continue to carry Ford. So long Jack. Business’s sometimes lose their focus,it’s no secret about some of the acquisitions that were made or attempted. They are also cyclical. Perhaps just as Petty Enterprises, Design,even the Wood Brothers faded, RFR and RCR are today. The consolidation within Nascar continues and who knows. You may see each manufacturer fielding one monster team at some point.